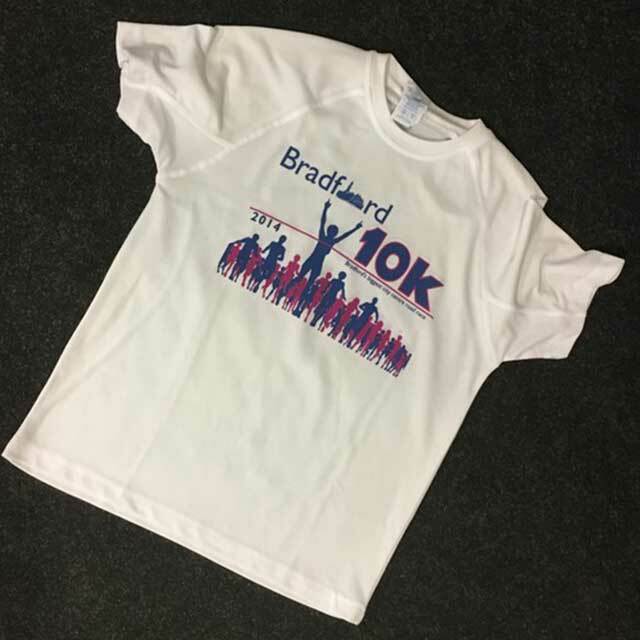 Here at Calder Screen Print we have provided numerous charity runs as well as marathons and triathlons with high quality Printed Running tops. Our printed running tops are made from 100% polyester and are breathable to keep your cool and fresh ready to beat your PB. The printed running tops are available in a huge range of colours and sizes and can be printed front and back with your logo, design or name. We supply printed running tops in either a t shirt style or a vest both of which can be printed to your specification. Over the past 25 years we have supplied printed running tops to a range of charities, fun runs and even more serious half and full marathons. We have kitted out everything from local running clubs to national charity events and fundraisers. If you’re looking for printed running tops at the best price and quality please get in touch for our prompt and personal service.